Dr Mzukisi Qobo is an Associate Professor at the NRF Research Chair on Foreign Policy and African Diplomacy, University of Johannesburg. He is an expert and thought leader on South Africa’s political economy, public affairs, and international relations. He is co-author of the book, "The Fall of the ANC: What Next", published by Pan Macmillan. He is currently working on a large project on Transformational Leadership. In the past he taught International Political Economy at the University of Pretoria where he was also deputy director at the Centre for the Study of Governance Innovation (Govinn). He was part of the team that developed the Gauteng Province’s International Relations Strategy. 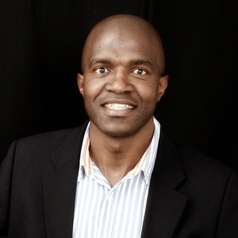 Dr Qobo has also taught and facilitated in executive programmes at Wits Business School and at GIBS, focusing on International Business and Public Policy and Regulation. Dr Qobo has also worked for the South African government, where he was Chief Director responsible for trade policy development, and drafted South Africa’s current trade policy and strategy. His research interests are global governance, political economy, and leadership.